The integration of mobile devices with biometrics has been one of the industry’s great successes. All premium mobile devices now include fingerprint sensors, facial recognition, or both, and they are also found in an increasing number of mid-market and budget devices. As consumer expectations change, however, the technology has also evolved, and companies which have benefited from smartphone biometric adoption are under pressure to adapt to the rapidly changing market. With the launch of the Vivo X20 Plus UD, Synaptics’ Clear ID technology has reached the market, pitting it against other fingerprint sensor types, as well as facial recognition systems. 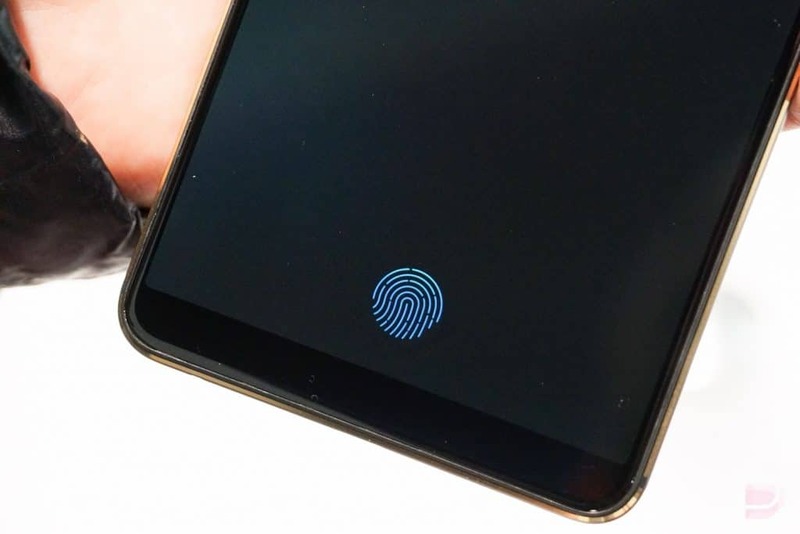 The company is confidant that its FS9500 optical fingerprint sensor and related products will reach mass adoption, and take a major share of the mobile biometrics market, Synaptics Vice President of Marketing Godfrey Cheng told Biometric Update in an exclusive interview and demonstration. While Cheng balks at the suggestion that the market is currently having a showdown between modalities, he sees the proliferation of biometrics for smartphones as providing too many alternatives for the average user to easily understand or differentiate between them. This makes it important for hype around biometrics to be followed not just by experience, but information. “It’s important that people value good technology, not just the cheapest technology,” he explains. The optical approach of Synaptics’ Clear ID technology enables biometric authentication to be integrated into smartphones in the way Cheng previously told Biometric Update the company believes provides the best user experience, as the smartphone market continues its push toward full-front or “infinity” displays. Infinity display devices with OLED displays are ideal for optical sensors, Cheng says. Capacitive fingerprint sensors require close contact with the user’s finger, so can only be located on the back of infinity display devises. The other sensing technology that has been proposed for integration under an OLED display is ultra-sonic, notably by Qualcomm, but Cheng says this technology has significant hurdles to clear before it can be introduced in a commercial smartphone. “There are a lot of fundamental physics issues that they have to resolve to get around using ultra-sonic instead of optical for display,” he says. Infinity OLED displays provide the light which optical sensors need to reflect, which is just one of several elements that make them well suited to the application, according to Cheng. Synaptics has done extensive internal testing of the user experience and security of its Clear ID technology, but also of competing technologies. That testing gives Cheng confidence that the company’s optical sensor provides the best experience, and will win the lion’s share of the exploding mobile device biometric sensor market. The response from early users and the long lineup that previewed it at CES has only bolstered that confidence. In demonstration, the sensor is easy and intuitive to locate and use, responding quickly and then fading into invisibility while the device is unlocked. Synaptic’s history in touch-interfaces and biometrics gives it established relationships with all of the major manufacturers, and Cheng predicts that it will announce more devices featuring Clear ID this year.